Wow. I went in expecting to like the movie. 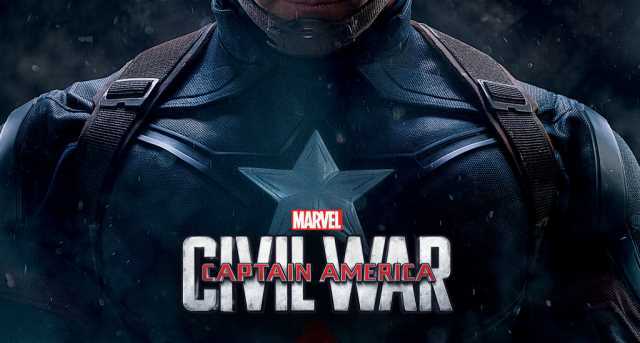 I had very high hopes for Captain America: Civil War. Mostly, it lived up to them. Like other Marvel products of the MCU, it had a good mix of action, comedy, plot, characterization and suspense. You knew Tony Stark was going to have a good snarky line or three. I wasn’t quite expecting it from Hawkeye and Black Widow, though, which was nice. The scene where Ant-Man meets Captain America is pretty darn funny, too. From a humour perspective, I went away quite happy. It wasn’t over-the-top like Guardians of the Galaxy or Ant-Man were, but it also wasn’t supposed to be that kind of movie. It had just enough comedy to be amusing, just enough quality dialogue to keep the plot moving and just enough action sequences to keep those who enjoy things blowing up happy. It managed to balance the disparate characters fairly well, too. I went in expecting a big philosophical fight about the Sokovia Accords — the requirement that the Avengers (and other people with powers) have government oversight from the UN. Whilst that was nominally the catalyst to cause members of the Avengers to split into factions (#TeamCap or #TeamIronMan aka #TeamStark), there was another subplot that caused some of the division as well. I wasn’t expecting that bit, so that was nice. Overall there were numerous things to like. I went in expecting something to happen (no spoilers as to what) and it didn’t. It’s nice to be surprised like that. I was also hoping that the post-credit scene at the end of Ant-Man, which showed Captain America and Falcon finding Bucky Barnes (The Winter Soldier) in a warehouse and mentioning the Accords, wouldn’t be the start of Civil War. I was glad Civil War didn’t pick up from there, where Bucky has all-of-a-sudden been found. What I liked most was that there has actually been fallout and repercussions in the MCU. What happens in one movie has consequences in subsequent films (and television shows) — though that hasn’t been true for Guardians of the Galaxy or some of the stuff from Thor, yet. 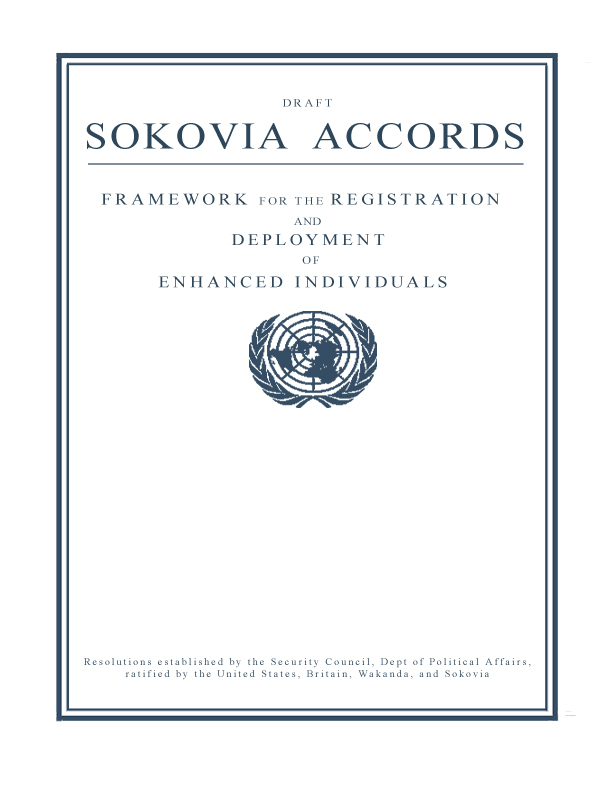 In some respects, the Sokovia Accords — more governmental and international oversight for an independent group of superheroes (or terrorists, depending on your view) — are a logical response to what happened at the end of Avengers: Age of Ultron. Tony Stark meets a grieving mother, so he feels guilty about the destruction he helped cause. His whole goal is to make himself obsolete. That is, he doesn’t necessarily want to need to be a super hero and wants protection from threats (both alien and human). That he could basically help destroy a city in a foreign country with almost no repercussions weighs on him. That he was responsible for creating the thing that destroyed the city in the first place has caused him to question his role. He wants the others to be held responsible for their actions, too. He doesn’t want to have to be one of the few to take on the threats to the world. In some respects I totally get Stark’s goal and motivation (even if he is a bit paranoid). These ‘Enhanced’ people, as the Accords calls them, can be dangerous weapons. Governments have traditionally tried to control the use of such weapons, or things that have potential to be used as weapons. Vehicles need registration, firearms (mostly) require permits, even wars between countries requires some kind of government action. I totally understand Stark’s reasoning for wanting everyone to sign the Accords. On the other hand, as Steve Rogers has seen in his lifetime, any sort of governmental organisation can be corrupt and/or have its own agenda. He rightly points out that what if the UN oversight committee doesn’t want them going in somewhere that needs them, or wants them to go somewhere they don’t want to be? (As an aside, there’s also usually a lot of government bureaucracy that takes time to sort through, but the threats the Avengers face often require quick decisions. Would they be expected to wait until the UN can decide something, even at the expense of the world?) Rogers also saw S.H.I.E.L.D. infiltrated by HYDRA, so has some reason to distrust those giving orders. And, though he doesn’t explicitly state it (and is perhaps more relevant to the Superhero Registration Act in the comics), requiring ‘special’ people to register with the government is the start of a slippery slope toward another Holocaust scenario. In keeping with his beliefs, Captain America believes in freedom and refuses to sign. It’s a worthy cause. Both Tony and Steve have followers of their points of view. It’s hard to claim that either is actually ‘wrong’ from a moral or ethical standpoint. That’s not even the point, really. Both are totally defensible positions. I liked the tension built into the movie because of those positions. There were a few things I didn’t appreciate, however. As an io9 article suggested recently, Civil War wasted a great opportunity to tie in multiple aspects of the MCU. On a smaller scale (and screen) Agents of S.H.I.E.L.D. have been dealing with the same issues during the majority of season three. That Civil War doesn’t mention what effect the Accords might have on ‘Inhumans’ (as they’re called in the show, otherwise known as ‘Enhanced’) was a failing on the movie. There are also many references to New York in the movie. Yet not once does anyone mention the events of Daredevil or Jessica Jones, the MCU Netflix shows set in New York. I like that there’s cross-over and tie in amongst the movies. But if everything in the Marvel universe is supposed to take place in one universe, they should reference each other on occasion. Even if it’s only a throw away line or two that could still make everything tie in well (heck, there were only a few post-credit scenes in the first few Iron Man films and Thor that really suggested there might be an Avengers). It was a wasted and missed opportunity. Additionally, I was put off by the disparate resources people seem to have across the MCU platforms. Theoretically, S.H.I.E.L.D. has been destroyed and scattered. Yet they still show up in Age of Ultron as important players and will plenty of money and resources to evacuate a whole city. With Nick Fury at the lead (who is supposed to be dead so far as the world is concerned), no less. Do the Avengers know that Phil Coulson is alive and running S.H.I.E.L.D.? He hasn’t exactly been quiet about his presence to various government agencies. Surely he could show up and support his friends. Outside of Agents of S.H.I.E.L.D., though, he doesn’t seem to exist any more. Which is a shame because he was such an impetus in getting the Avengers to fight together in the first Avengers movie. Yet in that show, Coulson is short-handed (that’s punny if you watch the show) that he seems to only have a small handful of trusted agents who run around the world doing everything. So which is it, Marvel? Does S.H.I.E.L.D. exist and have access to helicarriers and resources to evacuate a city or only a small, dedicated band of agents? A final issue I had with the movie is Sharon Carter. Not that she (kind of) joins #TeamCap or that she’s willing to pass along information or that she’s an extremely talented agent (as seen in Winter Soldier). Mostly it’s the fact that she’s Peggy Carter’s niece. The actress who plays Sharon (Emily VanCamp) is not even 30 (as of this writing). Peggy Carter, on the other hand, is supposed to be around 100. She’s also supposed to have lost her only brother in WWII. I don’t recall that brother having any children (though I could definitely be mistaken) shown in Agent Carter. How, then, is she an aunt? Especially of someone young enough to be her granddaughter? Maybe the concept worked better when the comics were published near the end of WWII, but so much time has passed now that ages become a very real thing (I do also wonder how old Tony’s father was supposed to be when Tony was born, but that’s neither here nor there). It’s a relatively minor thing, and probably wouldn’t get picked up on by casual fans, but it bugged me a bit. 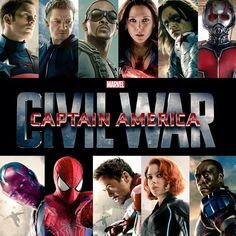 Overall, though, I thoroughly enjoyed Captain America: Civil War (though it almost could have been called Avengers: Civil War since it had so many of them in it. I do know that Marvel is trying to have the Avengers films deal with large-scale issues that can affect everyone on the planet, not just a small select few like ‘Enhanced’ people, so by having it ‘focus’ on Captain America I can see why they didn’t go the Avengers way.) Anyway, having re-watched Winter Solder and Age of Ultron this weekend in preparation for the movie, I was struck by how well the lines had been defined already. They were subtle in those previous movies, but the team members were there already. I look forward to the upcoming films and shows to see how they will be affected by the events here. It was, after all, supposed to alter the MCU dynamically. This entry was posted in Films, Popular Culture, Reviews, Television and tagged #TeamCap, #TeamIronMan, #TeamStark, Agents of S.H.I.E.L.D., Ant-Man, Anthony Mackie, Captain America, Chadwick Boseman, Chris Evans, Civil War, Corruption, Daredevil, Don Cheadle, Elizabeth Olsen, Films, Guardians of the Galaxy, Iron Man, Jeremy Renner, Jessica Jones, Marvel, MCU, Movies, Paranoia, Paul Bettany, Paul Rudd, Review, Robert Downey Jr, Scarlett Johansson, Sebastian Stan, Steve Rogers, Super Hero, Television, War. Bookmark the permalink.